‘An unlettered, illiterate genius.’ H. Schonberg, Grandmasters of Chess (1973 edition), page 213. 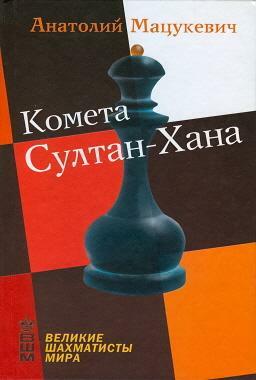 ‘[he] was completely illiterate and could therefore not benefit from books on the game.’ A. Sunnucks, The Encyclopaedia of Chess (1976 edition), page 469. ‘an illiterate peasant.’ E.R. Brace, An illustrated Dictionary of Chess, page 275. 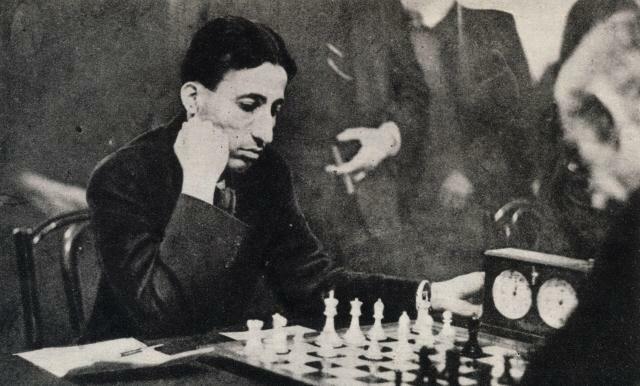 ‘completely illiterate.’ F. Wilson, A Picture History of Chess, page 98. ‘… his complete inability to read any European textbook on the game.’ R.N. Coles, Mir Sultan Khan (1977 edition), page 7. 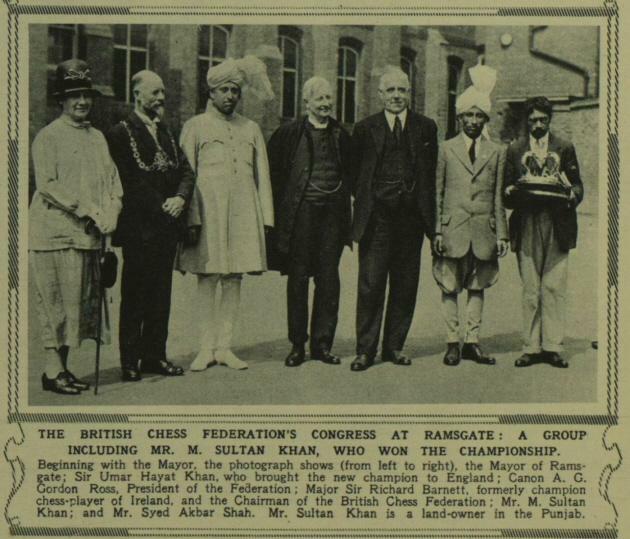 ‘I first met Sultan Khan when he was competing in his first British Championship at Ramsgate in 1929. Not that we were in the same tournament or anything like it. He was some six years older than me and far in advance of a schoolboy who was competing in his first open tournament (to be precise, the second-class). However, only recently arrived in England he was in search of a type of cooking not too far away from his Indian variety and thus it happened that he and I were the only chessplayers at a Jewish boarding house where, I still remember it, the cooking was indeed infinitely better than anything offered by the smarter hotels of the resort. On what basis the above claim was made is unclear. 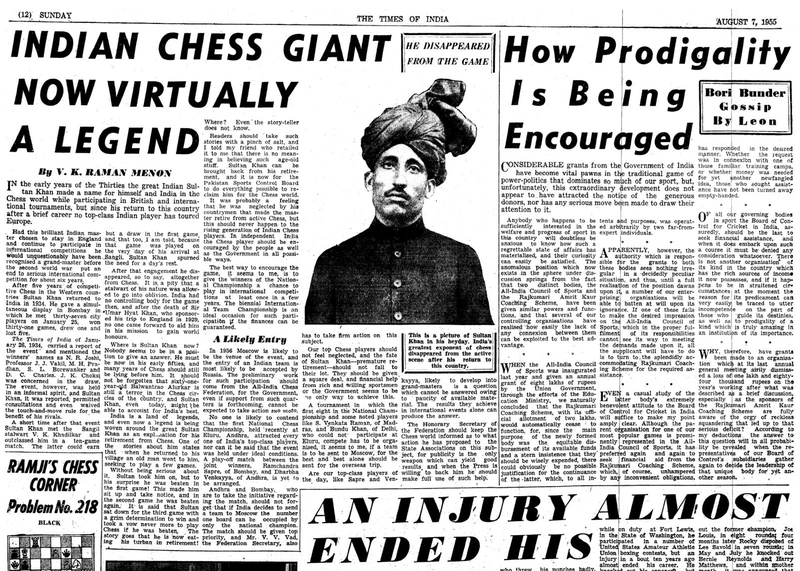 ‘The South African Chessplayer prints an extraordinary report about Sultan Khan, the Indian serf who won the British Championship in three out of four attempts and defeated Tartakower in a match, then vanished back to India and has not been heard of in chess for over a quarter of a century. 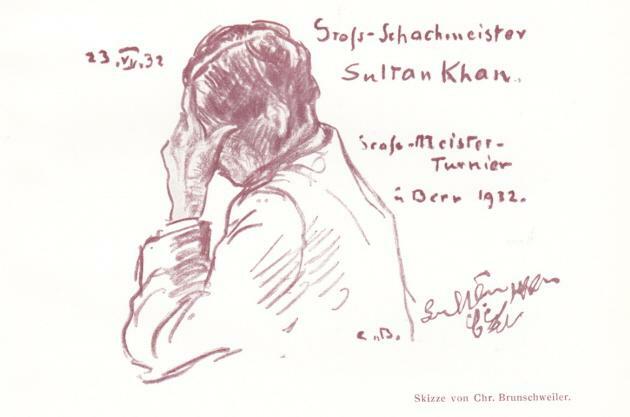 Kurt Dreyer states that Sultan Khan is living in Durban and is a professional concert singer, “has not played chess for a long time”. ‘The unconfirmed report on Sultan Khan appearing in CHESS No. 354 is amusing. It may be mentioned in passing that ‘Malik’ is sometimes also seen with reference to Sultan Khan himself. For example Schonberg (page 212 of his above-mentioned book) referred to ‘Mir Malik Sultan Khan’. 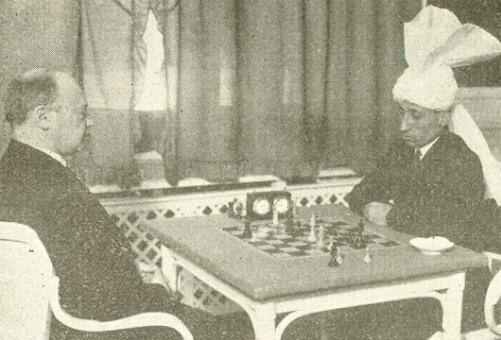 The problem with this story is that the game between Sultan Khan and Kmoch was drawn. Ramsgate, 1929. 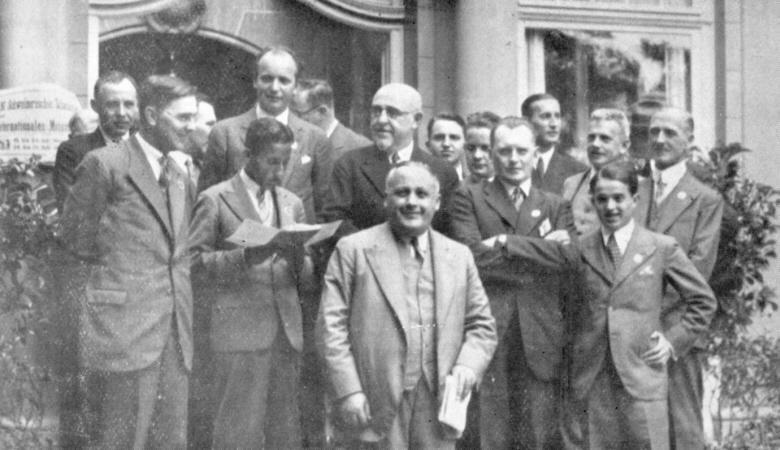 From page 345 of the September 1929 BCM. Readers interested in Sultan Khan will wish to note the publication of the 254-page work, Kometa Sultan-Khana by A. Matsukevich (Moscow, 2003). ‘The story of the Indian Sultan Khan turned out to be a most unusual one. The “Sultan” was not the term of status that we supposed it to be; it was merely a first name. 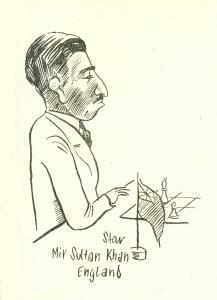 In fact, Sultan Khan was actually a kind of serf on the estate of a maharajah when his chess genius was discovered. He spoke English poorly, and kept score in Hindustani. It was said that he could not even read the European notations. See also, in this context, page 51 of The Chess Beat by Larry Evans (published in 1982) and Chess Life, February 2002, page 32. 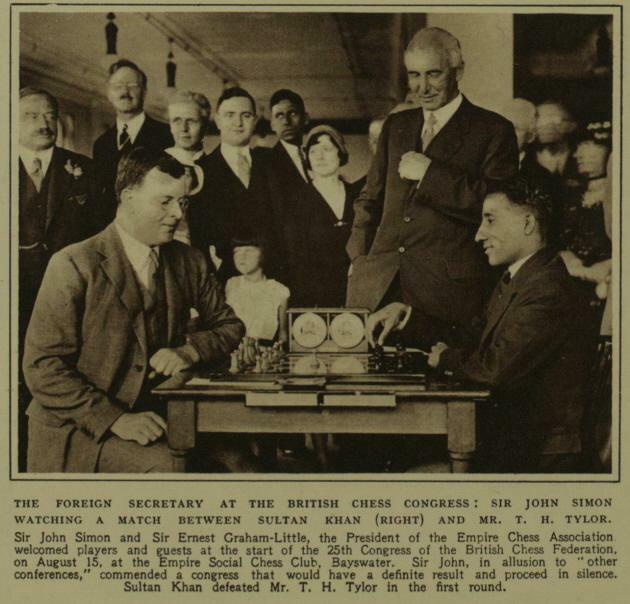 For comments about Sultan Khan by Sir John Simon, together with a photograph of them together, see our feature article A Chessplaying Statesman. This photograph (Sultan Khan v R.P. Michell, Hastings, 29 December 1930) was given in C.N. 6038, from page 116 of Le miroir du monde, 24 January 1931. Acknowledgment: Luc Winants (Boirs, Belgium). 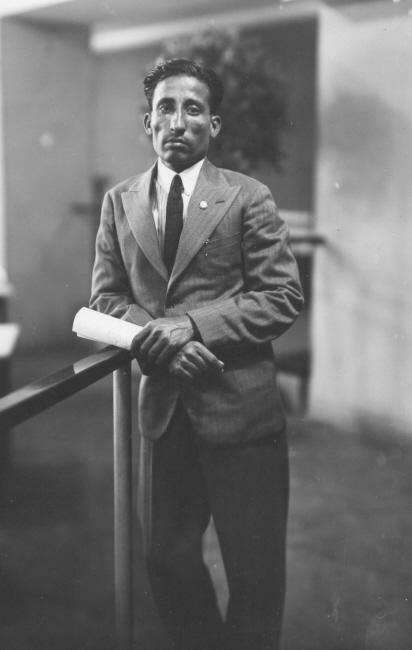 Alexander v Sultan Khan, 1933. 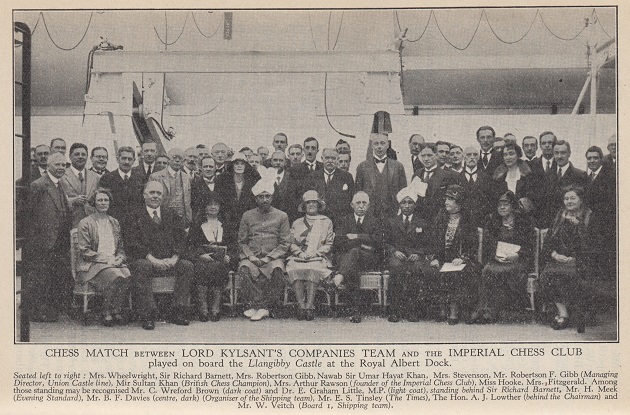 The picture is the above-mentioned ‘group photograph of team match, 1930’. 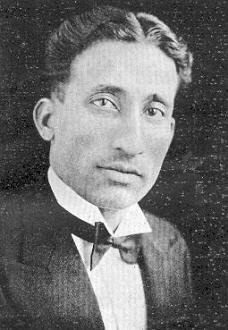 For photographs of Sir Umar Hayat Khan see C.N. 7511. 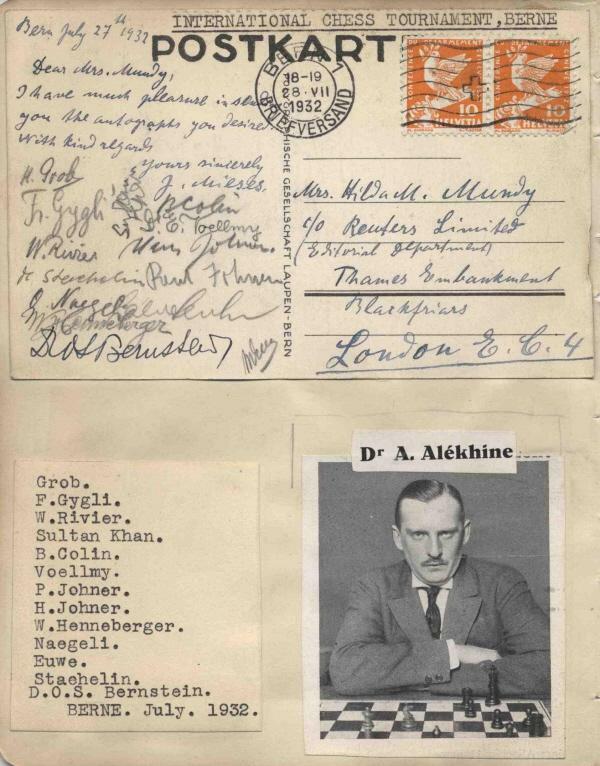 Mr Bloemhard has now posted the card on his website, with all the signatures identified individually. 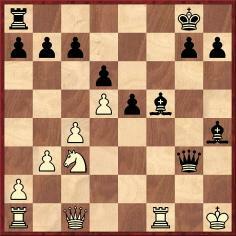 23...Bh3 24 Rg1 Qf3+ 25 Kh2 Rf8 26 Nd1 Bf1 27 Qe3 Qh5 28 Rxf1 Rxf1 29 Qh3 Bg3+ 30 White resigns. 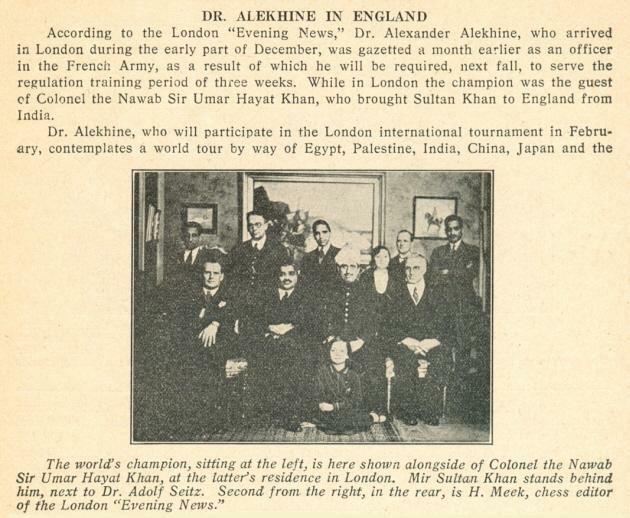 The display, organized by Mrs Arthur Rawson of the Imperial Chess Club, was also reported on page 422 of the November 1929 BCM and on page 27 of the November 1929 Chess Amateur. 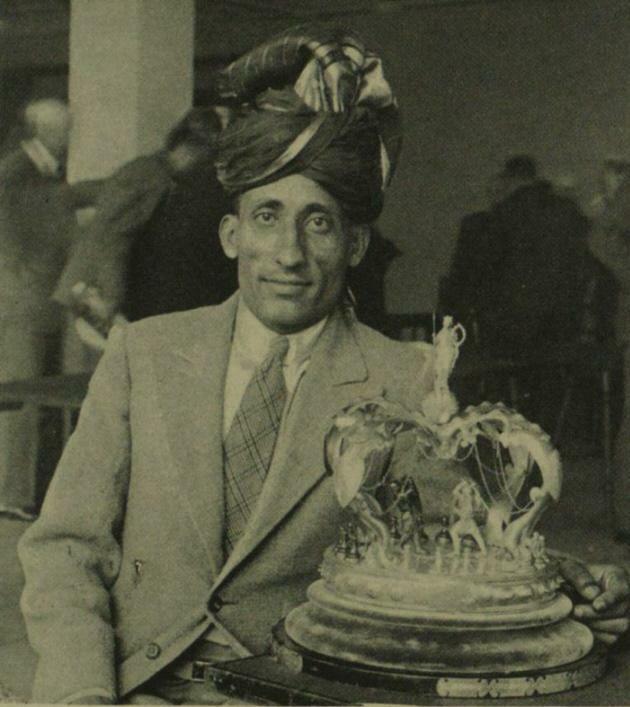 Our feature article has mentioned that he was sometimes referred to as ‘Malik Sultan Khan’ or ‘Mir Malik Sultan Khan’. 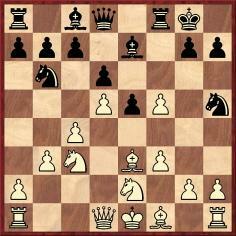 In Chess Personalia (Jefferson, 1987) by Jeremy Gaige the entry was headed ‘Sultan Khan, Mir (Malik? )’, and clarification is still sought. The above-mentioned report that Sultan Khan was living in Durban also appeared on page 134 of the May 1960 BCM, in D.J. Morgan’s ‘Quotes and Queries’ column. He published a retraction on page 200 of the July 1960 issue. 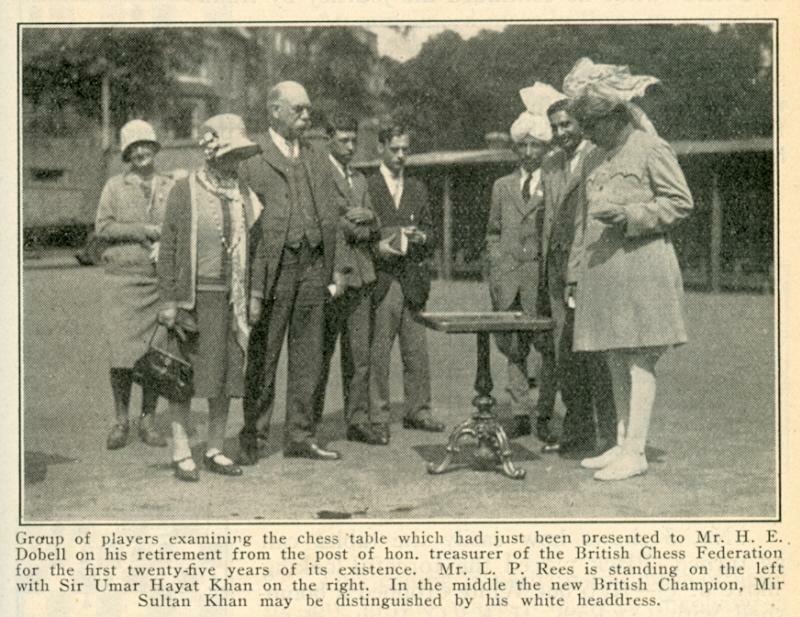 Two photographs in the present article (given courtesy of Messrs Lysdal and Urcan) were reproduced in ‘The Indian Summers of Mir Sultan Khan’ by John Henderson (CHESS, July 2016, pages 30-32). No source was specified. Copyright Edward Winter. All rights reserved.